What a beautiful day we had on Saturday in Michigan! The Woodworker and I hopped on the motorcycle mid-morning and drove north, visiting the small towns of Merrill, Breckenridge, Saint Louis, Ithaca, Saint Johns, Owosso and then back home to Flushing. 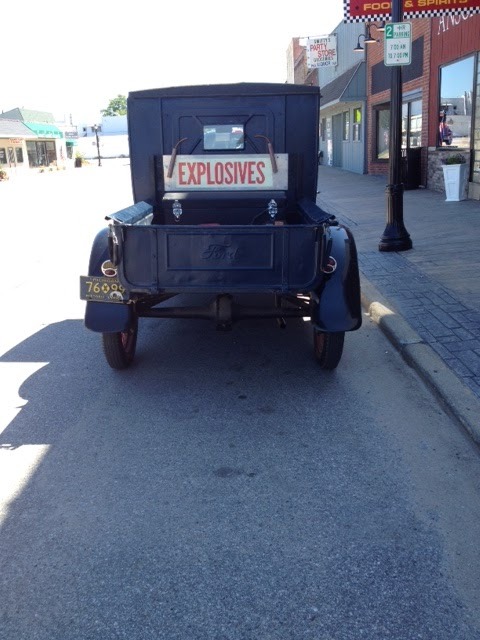 We also went through several additional “small towns” (4 corners and a stop sign) that were close to being ghost towns. I’m sure at one time they merited attention, but now they shouldn’t even be on the map! We pulled into Merrill as it was getting close to lunchtime, so the Woodworker pulled the bike into a parking space downtown to look at a map and see where we wanted to eat. I looked up, and to my amazement, he had parked right in front of the quilt shop “Miles of Stitches.” He looked up at the sign, realized what it was, and said, “Ok, go ahead.” So I did! What a sweet (and large) shop!!! The gals were very friendly,and I was amazed at the ton of fabric that they carried – lots of batiks and other yummy fabrics that are hard to resist. One thing I loved about the shop was the large teaching area that they have. I’d LOVE to teach a class there! If you haven’t been to Miles of Stitches , you should plan a visit. Tell them Caron sent you! 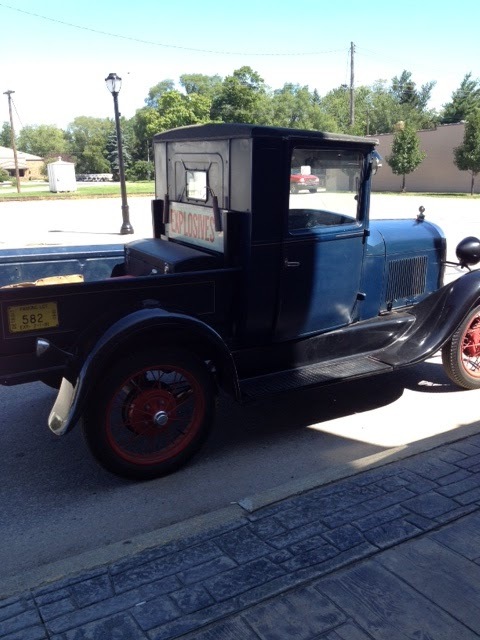 After looking around and shopping, we headed to lunch in Breckenridge, where we spotted this cute old truck parked outside the Anschutz Cafe. Isn’t it adorable? Just two short weeks until my teaching gig in Toledo! I’m really looking forward to spending the day with this great group of quilters, as we study and work on some little four-and-a-half-inch blocks. We’re going to improve our applique, and look at colors and settings for some great quilts. Published by Caron Mosey at Michigan Quilts! 2012. Speaking of towns with 4 corners and a stop sign, have you read South of Superior? I vacation near Traverse City and this book took me to those out of the way towns in Michigan that only come alive from Memorial Day to Labor Day and everyone is in vacation mode!! 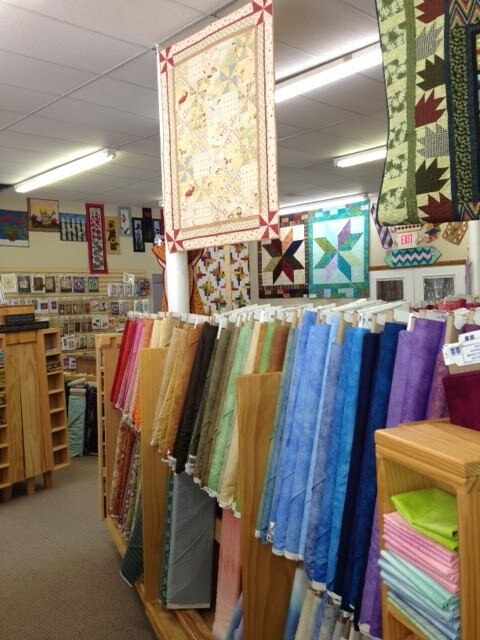 I love Two Sisters Quilt Shop near Beulah, MI!! Hm, I'd love to visit that shop! What a great trip, Caron. 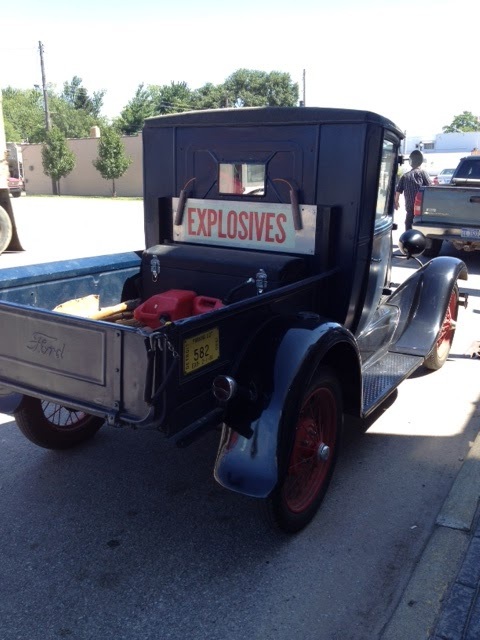 Love that truck, it should have been on Woodward, lol!